The Warriors will host North Cobb Christian on Saturday 1/14/17. Come out and support the Warriors! The Warriors will travel to Cherokee tomorrow in a key non-region match-up. In addition, the Walton Raiders will play @NC on Friday Night (12/2/16) in the home opener! Come out and support the Warriors!! 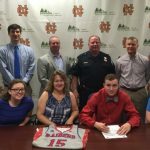 This morning Ricky Shearmen announced his commitment to play basketball for Roane State Community College in Harriman TN! 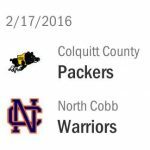 The Warriors will host the Colquit County Packers on Wednesday 2/17 at 6:00pm. Come out and support the Warriors!! North Cobb (Region 4AAAAAA #2 Seed) Colquitt County (Region 1AAAAAA #3 Seed) GHSA sets ticket prices at $7.00 for the 1st Round of the State Tournament. The Warriors will take on the Harrison Hoyas this evening in the last Region 4AAAAAA home game of the season. 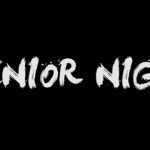 Come out to support the Warriors as we recognize our seniors! Friday, January 8, 2016 7:30 PM Kennesaw Mtn. 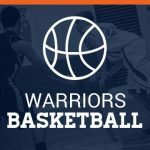 AWAY 47 North Cobb High School HOME 52 Game Recap Warriors beat region rival KMHS in overtime!! 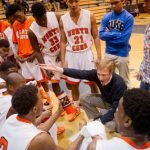 Saturday, December 5, 2015 5:30 PM Paulding County High School AWAY 45 North Cobb High School HOME 57 Game Recap Warriors win! Tuesday, November 17, 2015 7:30 PM Kell High School AWAY 50 North Cobb High School HOME 42 Game Recap Warriors lose close home opener to Kell. 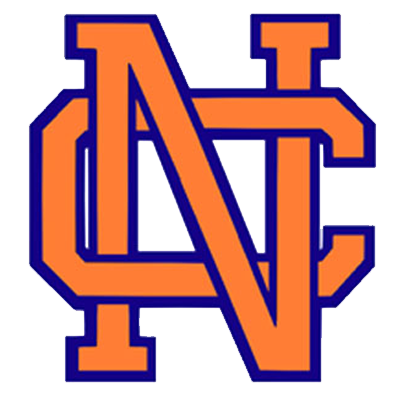 The North Cobb Boys Basketball team with hold their annual intra-quad scrimmage on Thursday November 11/12/15 at 6:00pm. The Warriors invite everyone to come out and see the team in action for the first time this season!